In the spirit of La Bohème and following the tradition of Kafeneio talks, A Conversation with is an intend to organize a new series of meetings gathering voices of the local art scene in Athens. The conversation are held in English and host by Florent Frizet & Eric Stephany, two french artists currently living in Athens. Petros Touloudis lives between Athens and Tinos island in Greece. Graduated from Athens School of Fine Arts, Touloudis works across the areas of visual art (video, sculpture, installation), architecture and opera. Between 2015 and 2017, he was a fellow at Academie Schloss Solitude in Stuttgart, Germany. 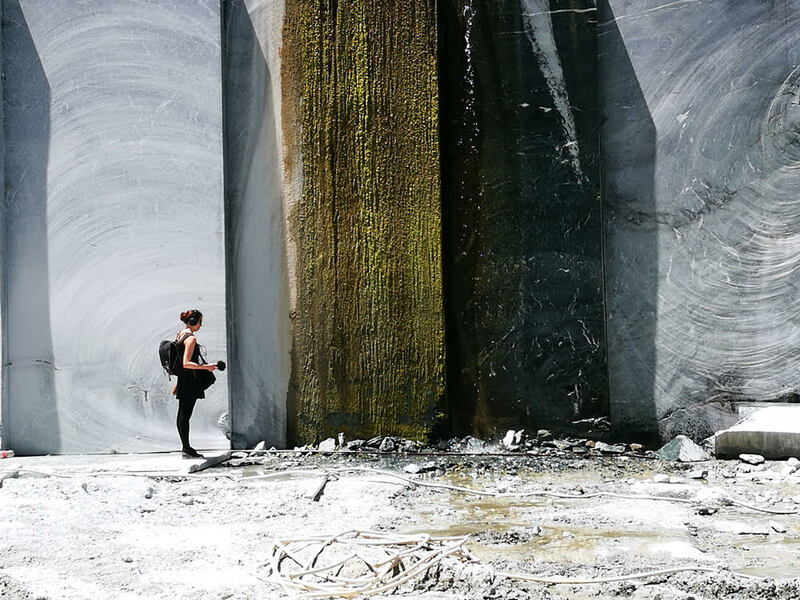 He’s the co-founder of Tinos Quarry Platform, a forum for contemporary art operating an artist-in-residence program since 2015, located on the island of Tinos, in the Northern Cyclades. TQP invites participants from Greece and abroad to work on a range of artistic and cultural projects. Emergent synergies between artists and the landscape contribute to the development of networks that include both local and international audiences while opening the space to a wider public.